This photo was taken on July 4th, 2004 along Ditch Road north of Sioux Falls. 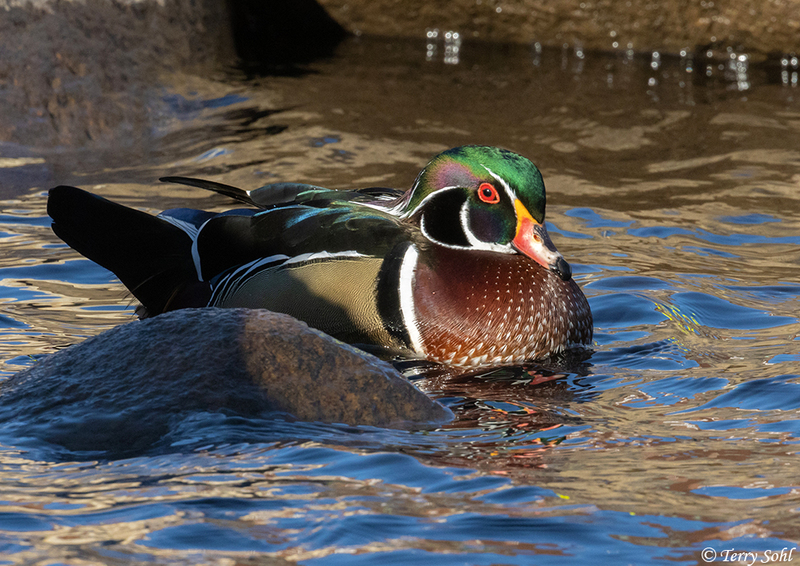 I must admit I didn't know at the time if it was a hybrid duck or something, but then was told this is what a Wood Duck drake looks like in eclipse plumage. Taken with Canon 300D, 400 5.6L lens.